The “Geo #35” mural is resting between two awesome works by my talented friends Maxx Moses & Miguel Angel Godoy in the heart of the North Park, San Diego neighborhood. A beautiful piece by Gloria Muriel is also at the location and new work by Jorge Gutierrez recently joined the project. 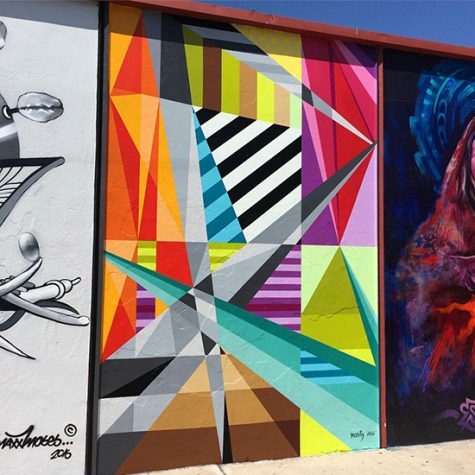 The murals are on the corner of Gunn street located at 3750 30th Street SD, CA.